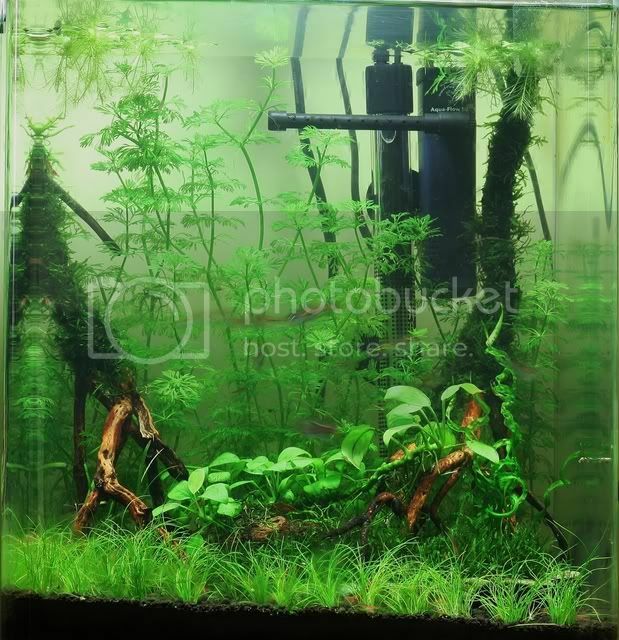 Hi Guys, I've done a rescape on my nano, and I thought I'd share the journal. Inhabitants: 9 X Trigonostigma hengeli, 1 Trigonostigma heteromorpha and approx. 100 Sakura shrimp. WC Routine: 50% 1-2 x per week. I have taken out the old wood, and added some new wood (heather branches from the hole of horcum). I'm much happier with this wood, as it looks much more natural. I have tied come Christmas moss to the top half of the wood, but not where the branching starts, as I want that to stay visible through the plants that will grow through it. 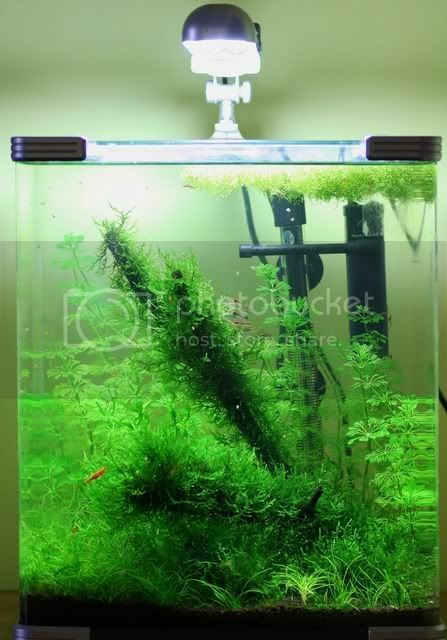 I have Used Limnophila sessiliflora for the whole of the background, as I'm hoping it will grow densely and hide the wires, filter and heater. 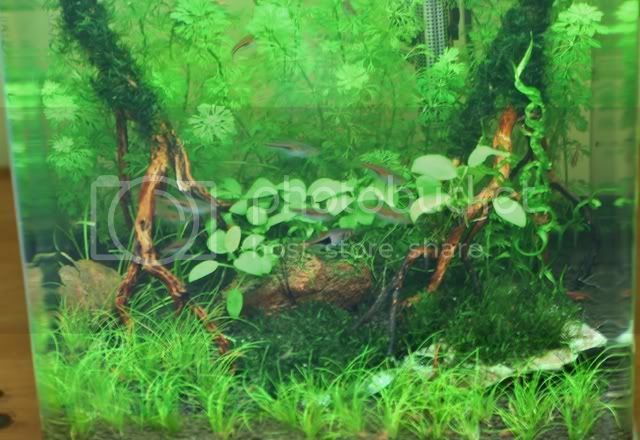 The foreground is still E. parvula, and I have pygmy chain sword and Echinodorus vesuvius growing through the branches of the wood (they will be more visible as they grow). I have added some Anubias nana golden, which will hopefully grow over the wood on the right and not have loads of algae on it as it will be partially shaded by the Limnophila. There is some moss on stones in the foreground as well, which will grow into a nice carpet. I have also added some water lettuce as a floating plant, as I have noticed that the shrimp like floating plants to climb on. What do you think? I'll keep updating the journal as the scape progresses. I am really liking this. Well done. Very nice Ben A definite improvement on the old setup. Very neat setup nice choce of fish and shrimp.